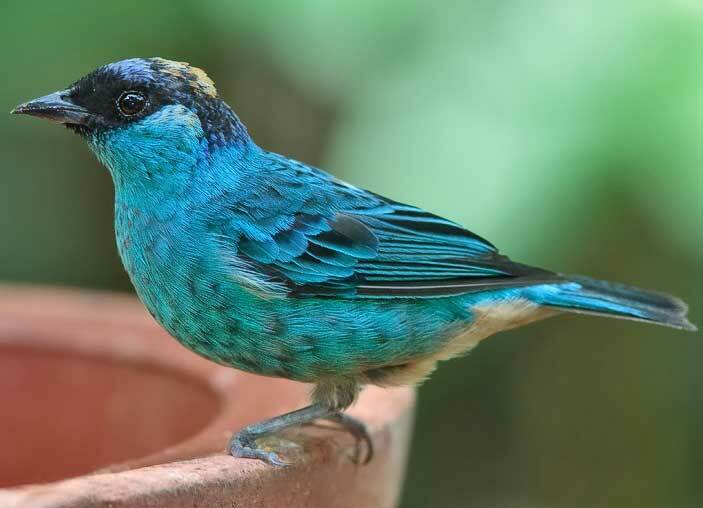 The Golden-naped Tanager (Tangara ruficervix) is a species of bird in the Thraupidae family. It is found in Bolivia, Colombia, Ecuador, and Peru. Its natural habitats are subtropical or tropical moist montane forests and heavily degraded former forest. * BirdLife International 2004. Tangara ruficervix. 2006 IUCN Red List of Threatened Species. Downloaded on 27 July 2007.